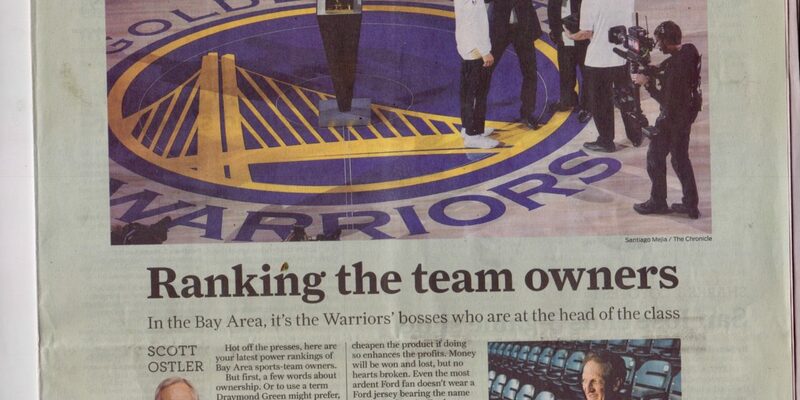 Scott Ostler of the SF Chronicle got an idea for his Thanksgiving Day column when Draymond Green told a Harvard audience that the word “owner” rubbed him and many other people the wrong way. Green was giving out some good p.r. advice, but Ostler evidently thought he was being uppity, trespassing on his realm (words and politics). 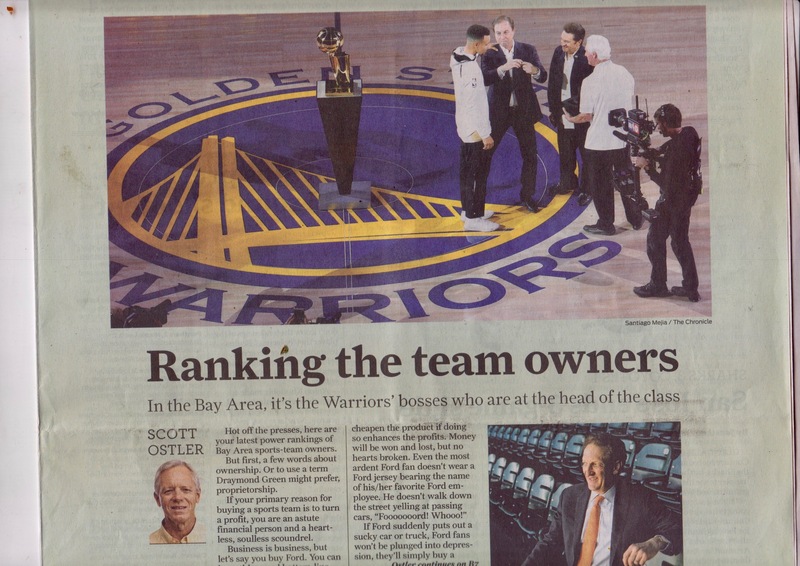 The page-wide photo above Ostler’s column shows Warriors’ co-owner Joe Lacob explaining basketball —or is it horseback riding?— to Stephen Curry, who displays affectionate appreciation. Prediction: Scott Ostler will enjoy courtside seats and roast beef from the Warriors’ high-end buffets long after Draymond Green has been “traded.” Anyone wishing to bet on this should email Cassandra@fixisin.com. Physical therapy is preferable to surgery, in general, but it’s Paul Millsap —not the Denver Nuggets, i.e. 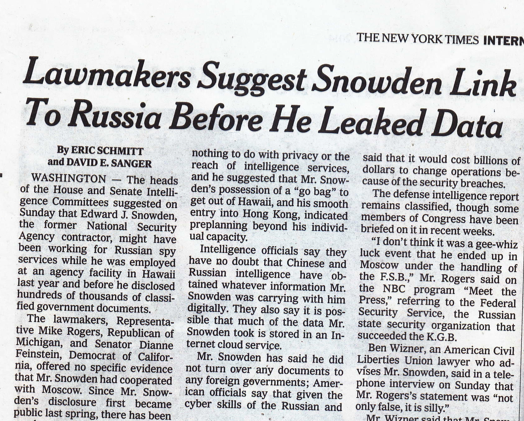 his “owners”— who should be weighing the options. And the main criterion should be a lifetime of full functionality, pain-free, not how soon he can get back to work. Two small reforms might make a big difference in the longterm. Enlightened coaches should advise, “Don’t dunk unless it’s necessary.” And charging should be called only when the defender is stationary before the offender begins the irreversible step that results in contact. Seems like nine times out of 10 the player nailed for charging could not possibly have halted in time. The implication is that many NBA players incur debilitating damage. “The average career spans less than five years,” according to Letourneau.